Transportation from Los Angeles, California, to Titusville (Shuttle Landing Facility) or Cape Canaveral (Air Force Station Skid Strip), Florida, was scheduled for January 10-13, 2018. “Antonov respectfully requests expedited consideration and approval of this application to address a pressing commercial requirement of Space Exploration Technologies Corp. ('SpaceX')," says the application published on Daily Airlines Filings website. 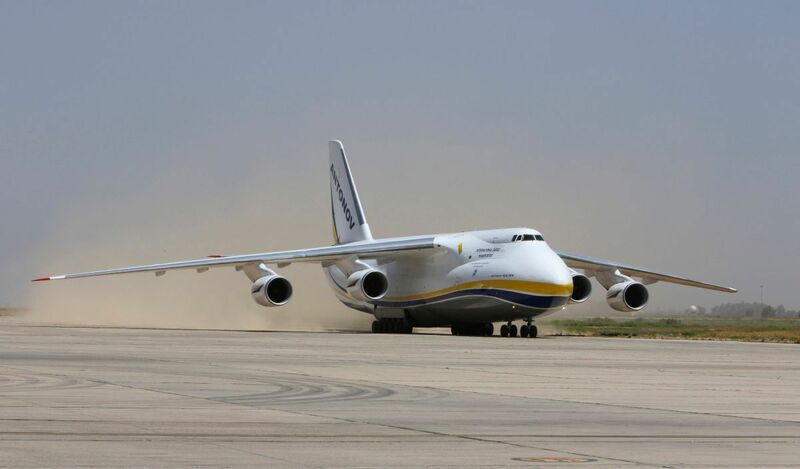 Read alsoFrance's Bollore hires Antonov to transport European satellitesIt is reported that the unit that needs to be transported measures approximately 706" x 222" x 164" and weighs approximately 62,000 lbs. Cargo of this size cannot be accommodated by any freighter aircraft operated by U.S. carriers. As a result, the fairing halves need to be transported using Antonov's AN-124-100 aircraft. "The timely transportation of the fairing halves to Cape Canaveral immediately following SpaceX's anticipated completion of the processing in Hawthorne is vitally important. Failure to deliver this cargo on or about January 11, 2018, would have compounding repercussions that would adversely impact SpaceX's scheduled launch missions. Such an outcome would be unduly harmful and costly to SpaceX and its launch customers," reads the report. *The article was edited to correct the aircraft name.